This one has it all. 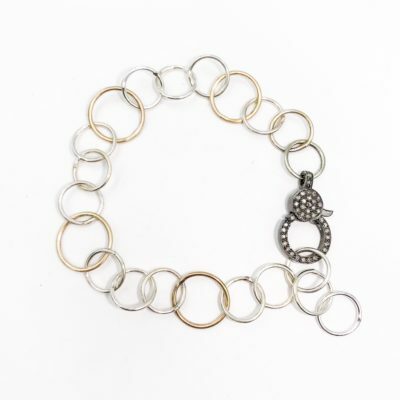 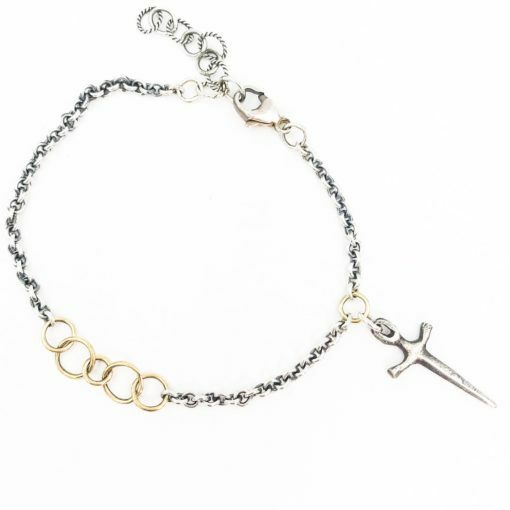 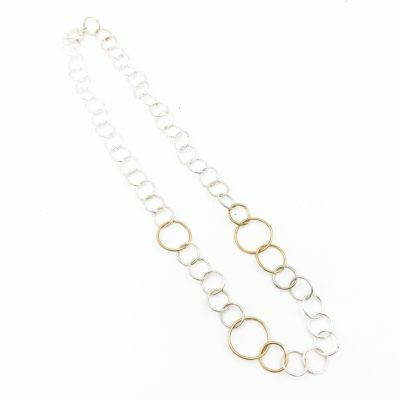 Hand forged solid 14kt gold links & oxidized sterling silver combine for a classic yet edgy look. 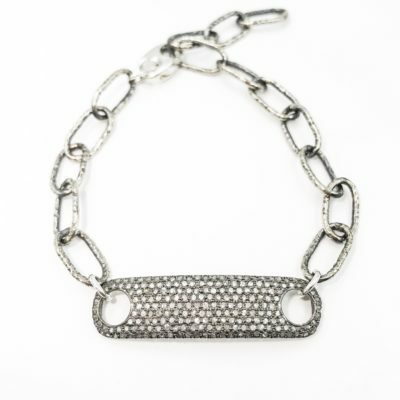 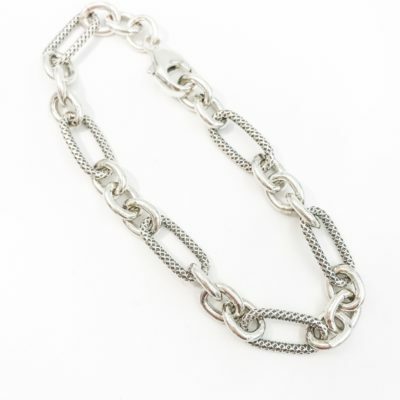 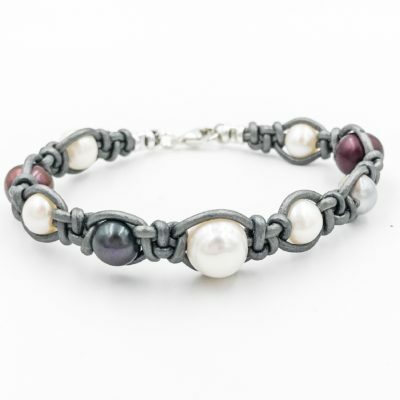 Unique and stylish, you can wear this one alone or with other bracelets.